Yes, yes, yes!! It’s Shrove Tuesday! In Australia, it is known as Pancake Day. For two years now we have celebrated Pancake Day and enjoyed indulging in some pancakes for dinner. I make up a whole heap of yummy fluffy pancakes, and we cover them in a variety of delicious condiments, strawberries, Hershey’s chocolate sauce, whipped cream and whatever else we can use. So if you feel like making some pancakes today for lunch, dinner or dessert, I have found six yummy pancake recipes that you could try. As the school day comes to an end, and the kids have endured a hot day at school, I always like to make them a cold drink to cool them down. 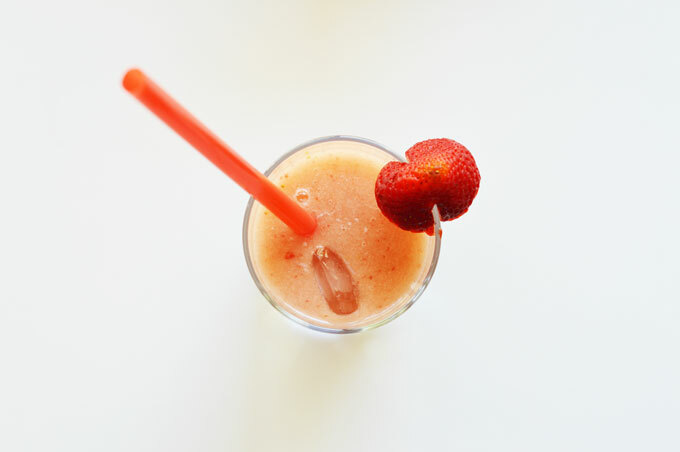 A slushie is one drink that they enjoy and most of the time I use apple juice as a base. But when I attended the Bloggers BBQ I came upon another alternative that I could use and it sounded much healthier. Did you know that today is World Nutella Day! I had heard about it but didn’t know when the actual day was. If my kids found out this morning, then I would have had to make something with Nutella in it. I don’t have time on a school morning to do any baking so I might have to surprise them and make a yummy baked treat today. 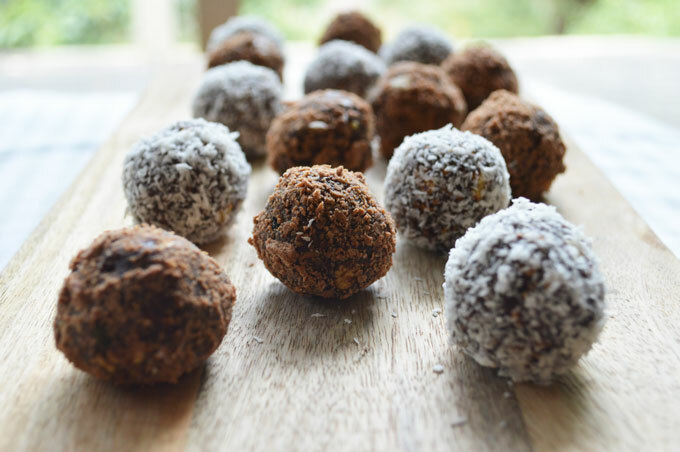 See these little balls covered with desiccated coconut and chocolate flake, well they were the third batch that I had made for the family. They didn’t last long, just two days in the fridge, and all of them had been gobbled up. When I received my Sunsol 10+ Muesli products to review, I knew that I had to use one of the muesli’s as an ingredient to make something delicious. 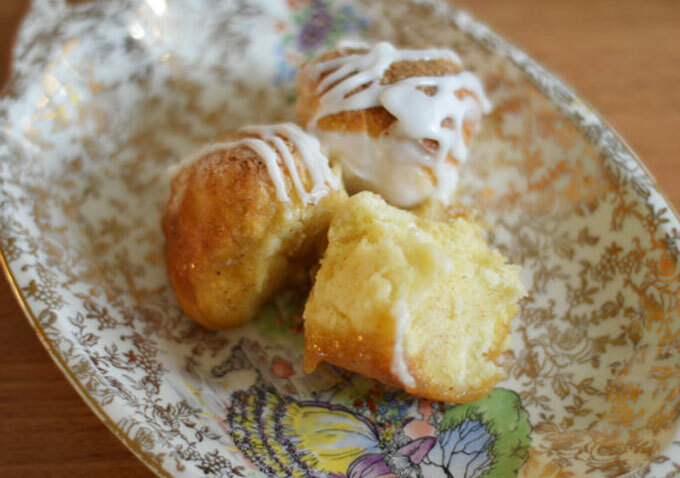 So after testing a few recipe ideas, I came up with these scrumptious little balls of goodness. 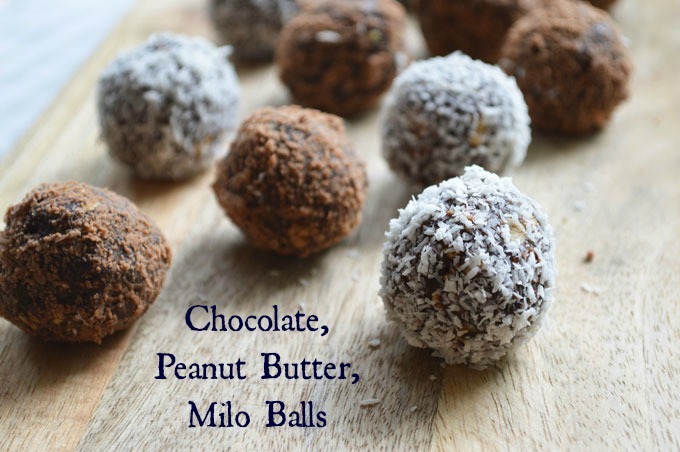 Say hello to my Chocolate, Peanut butter, Milo Balls! They are so yummy and chocolatey. And easy to make. You just put all the ingredients in a bowl and mix. I consider them to be good for you as well as they have 1 1/2 cups of Ancient Grains and Superfruits muesli in them. 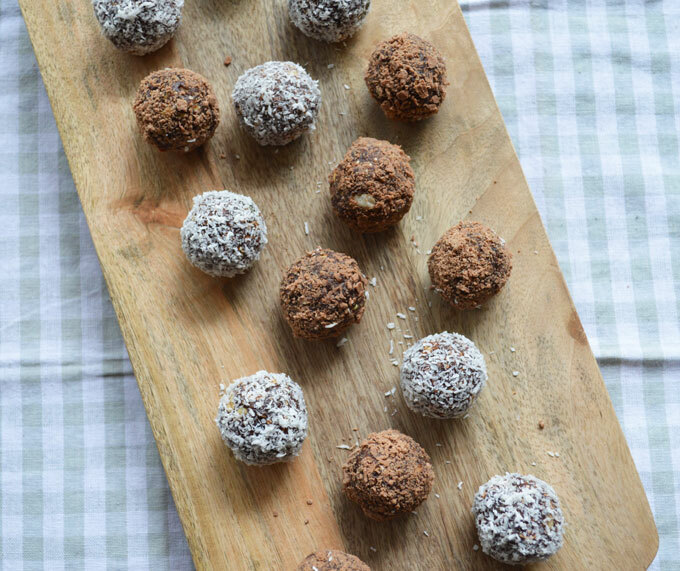 A healthy little snack for when you need an afternoon boost of energy. Chocolate flake and desiccated coconut for rolling in. 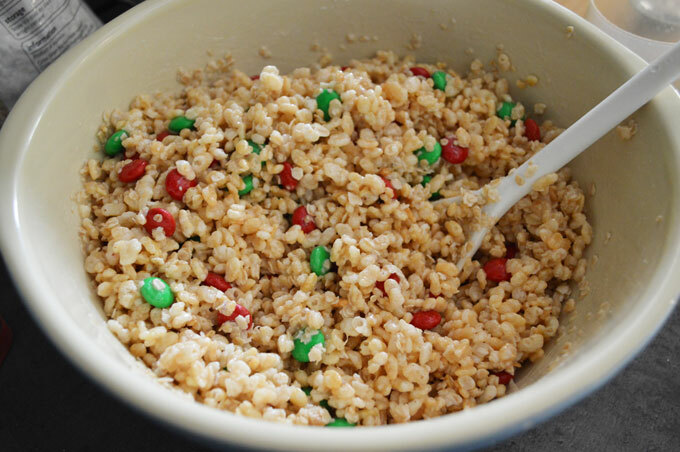 Add all of the ingredients in a large mixing bowl and mix together until all combined. 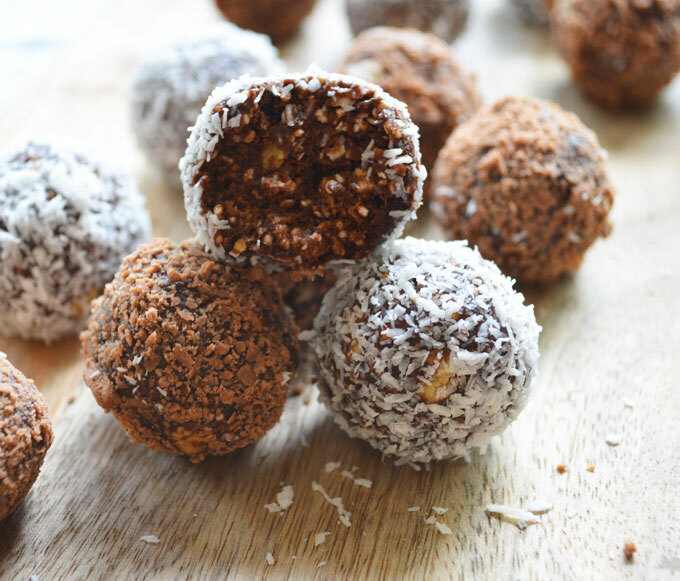 Once combined, roll about 1 tablespoon of mixture into a ball. In two separate bowls, place the chocolate flake and the desiccated coconut. 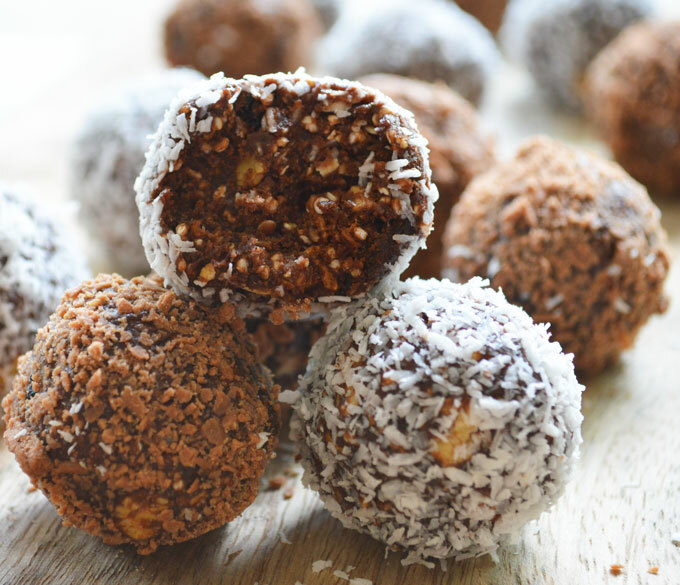 Roll half the balls into the chocolate flake and the other half of the balls into the coconut. Place the balls onto a plate in a single layer and put them in the fridge until chilled. *But I don't think they will last that long! 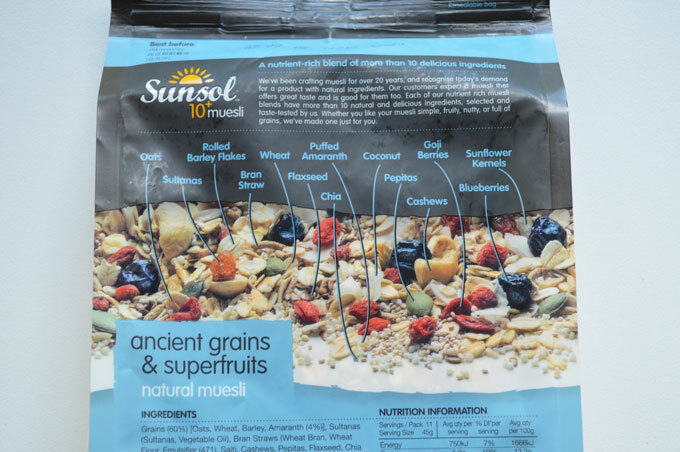 The Sunsol 10+ Muesli of Ancient Grains and Superfruits include a selection of delicious grains and dried fruits which absorb the peanut butter and honey and makes the balls come together beautifully. If you would like to read more about the range of Sunsol 10+ Muesli, you can visit their website here. I have been a bit quiet around this place lately. Christmas is a busy time of year at our house, and there isn’t much time for anything else. 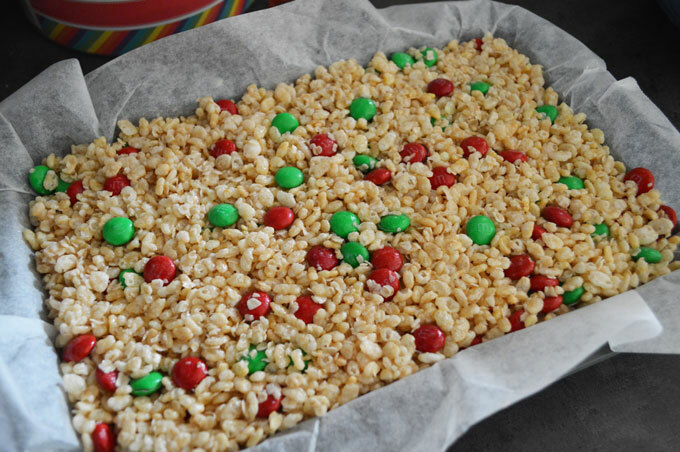 I did get a chance yesterday to head into the kitchen though and make a lovely Rice Bubble Christmas Slice. If you have noticed in the shops, they are selling Christmas m&m’s in a bucket. An abundance of red and green m&m’s. I grabbed two buckets the other day and after nearly eating all of one bucket (with the help of my kids of course) I decided I should use them for some baking as well. 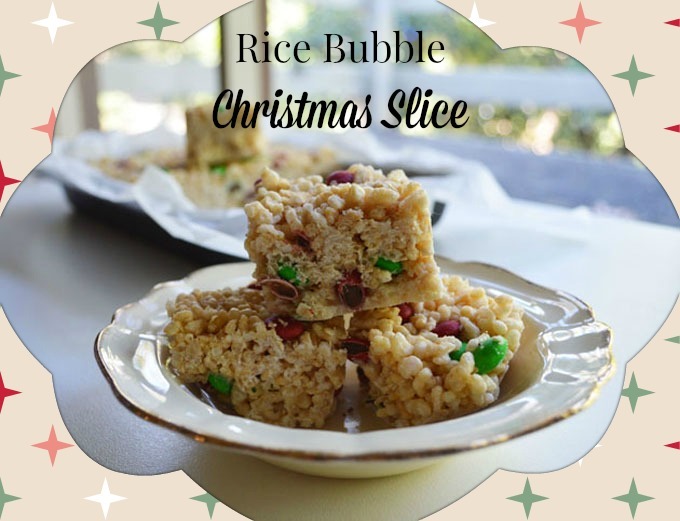 So I came up with a cheerful Christmassy Rice Bubble Christmas Slice. Add the melted copha and honey into the dry ingredients and stir until thoroughly combined. 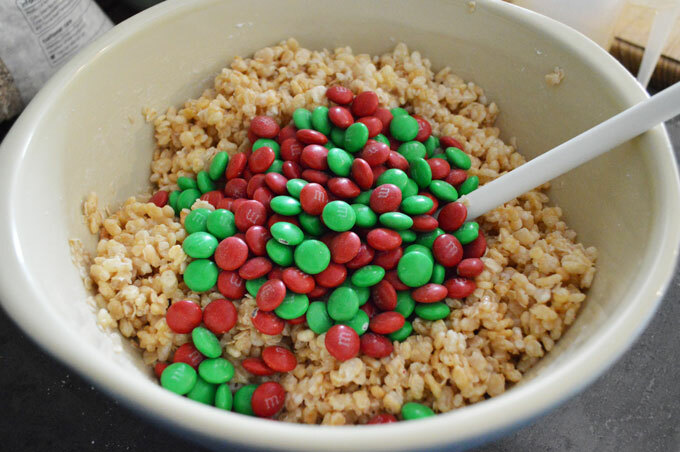 Add 1 cup of red and green m&m’s and gently stir into the mix. Once combined, pour into a baking paper lined baking dish and gently press down until level. Line a baking dish with baking paper and set aside. 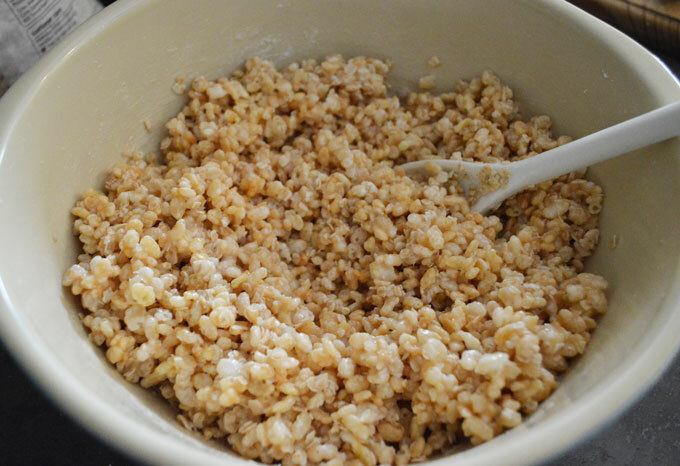 Combine in a large bowl Rice bubbles, icing sugar and quick oats. Melt in a small saucepan the copha and honey until completely melted. Once copha and honey have melted, add to the dry ingredients and mix until combined. Add the red and green m&m's and gently mix. Then pour the mixture into the baking dish and gently press down until level. Once set, take a large knife and carefully cut into squares. Keep stored in the fridge for up to 2 weeks. 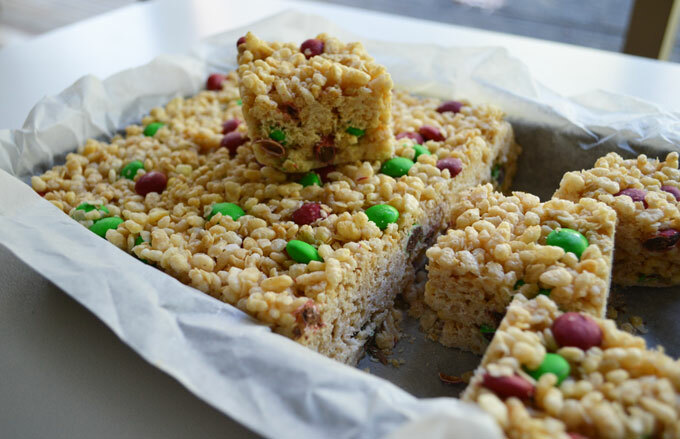 This slice is easy to make and a great treat to have sitting in the fridge. 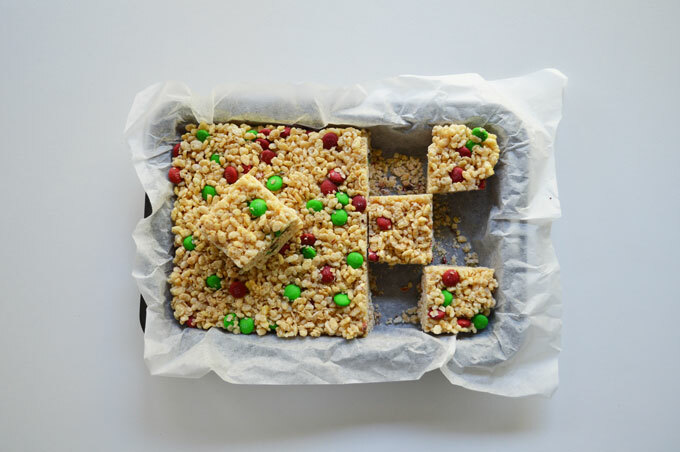 My kids love it and are a taking a square in their lunchbox to school each day. Hubby loves it too so its happy tummies all around. Now the only problem for me with storing the slice in the fridge is that every time I go to the fridge it’s there looking at me and I just want to keep eating it. Is there anything sitting in your fridge that you can’t stop eating? Wishing you a Merry Christmas and happy baking! Nutella is a pantry staple in our house. I always hope that the kids will want it on toast for breakfast so I can grab a spoon and start eating it. Once I get the taste I can’t stop. But don’t worry I do stop after I have licked the fifth spoonful! 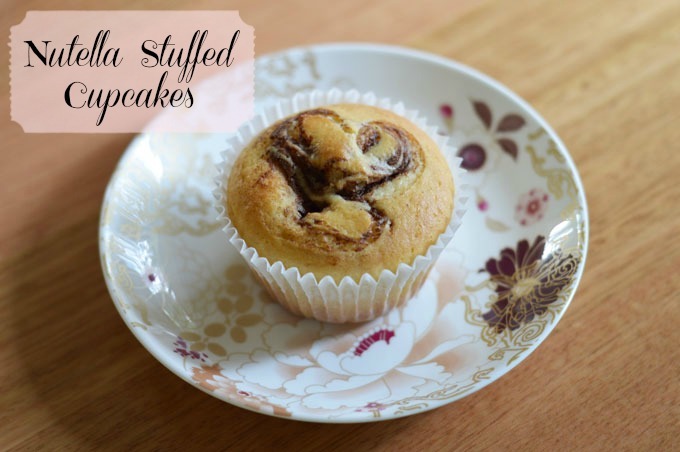 This recipe of Nutella Stuffed Cupcakes is a favourite and of course I love it because it has Nutella in it. Preheat oven to 180°C/ 160°C fan forced. Line a 12-cup standard muffin tin with paper liners, set aside. In a large glass measuring cup or another bowl, whisk together milk, vegetable oil, egg and vanilla. Pour mixture over dry ingredients and stir using a rubber spatula just until moist. 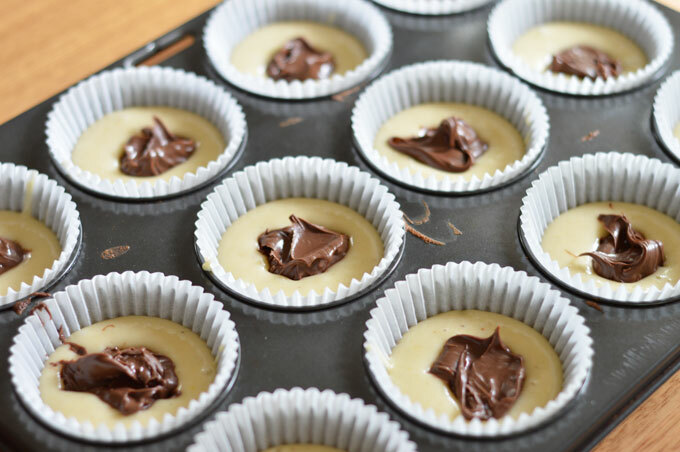 There are two ways for preparing these: Option 1: Scoop a spoonful of batter evenly into the muffin tray. Drop 1 teaspoon Nutella into the center of each cup. Top with remaining batter to completely cover the filling. Or Option 2: Scoop the batter into each of the muffin liners. 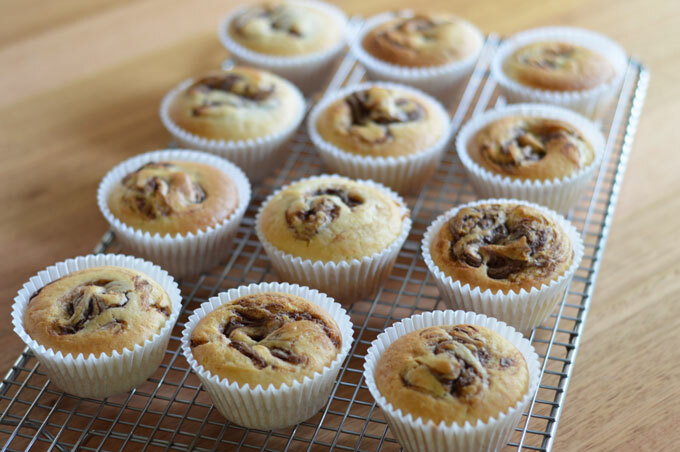 Drop 1 teaspoon of Nutella into the centre of each cup. 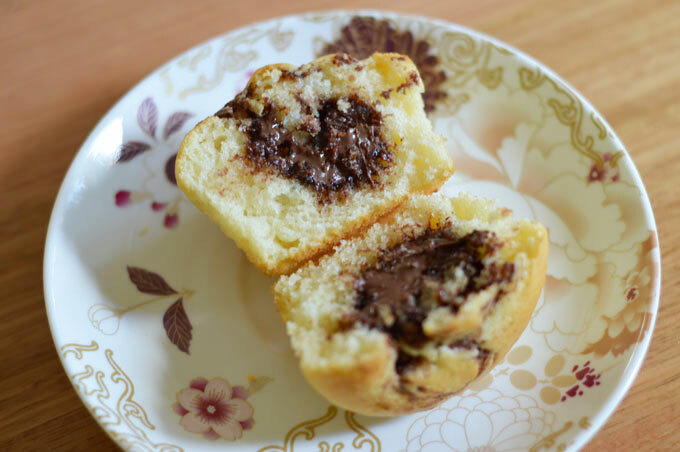 Then using a tooth pick or cake skewer swirl the cupcake batter over the Nutella. You just need to cover it up a little bit. 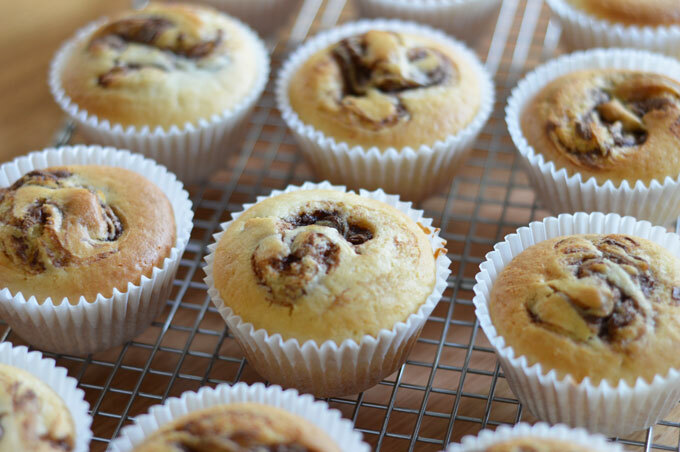 This will give you a Nutella swirl effect on top. Place into oven and bake for 13-15 minutes, or until a tester inserted in the center comes out clean. A centre of choccie goodness! These cupcakes are easy to make and taste nice warm. The texture is lovely and moist. I don’t know how long they will stay fresh for as these are all gone within two days. 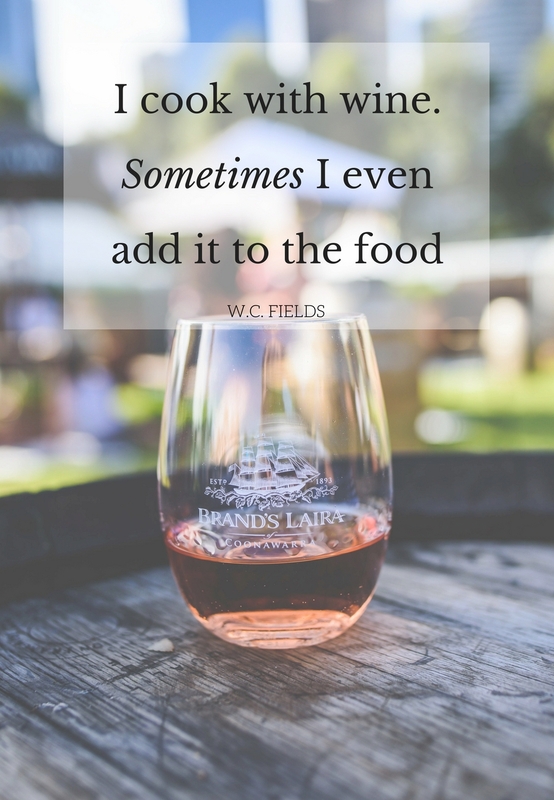 Do you have a favourite recipe that uses something for a yummy centre? 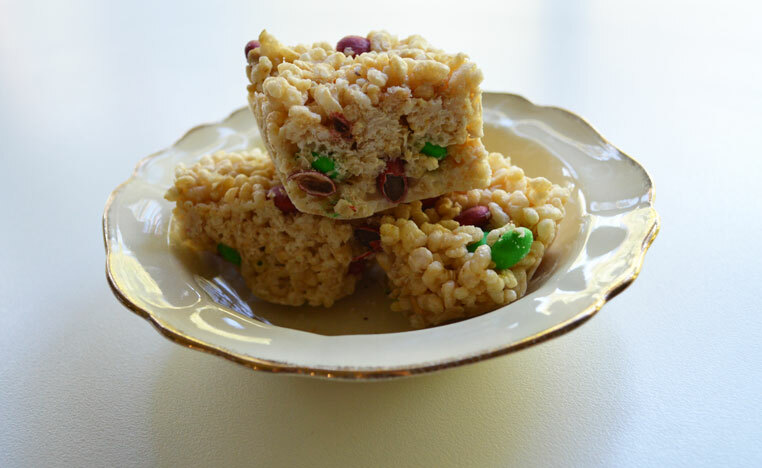 I have enjoyed sharing this recipe with you so much so that I am going to head into the kitchen and make these again! 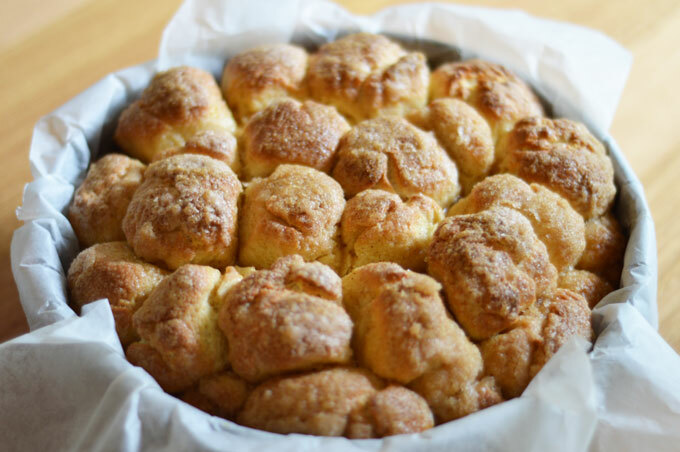 Can you smell this amazing cinnamon sweet bread? If only there were a scratch n sniff screen. 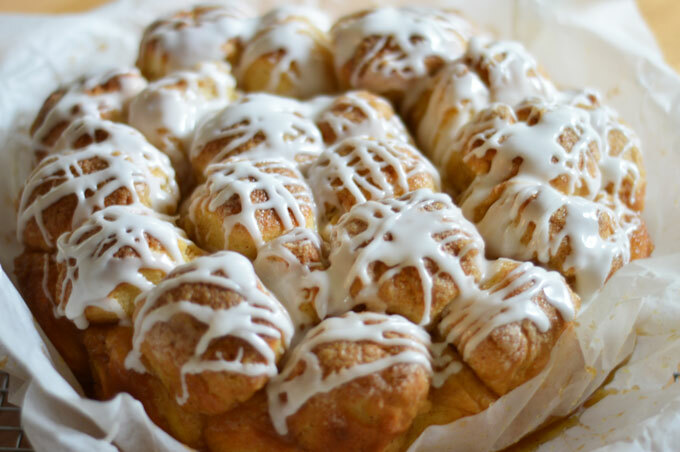 This yummy treat is Monkey Bread. I made this for my kids during the school holidays. 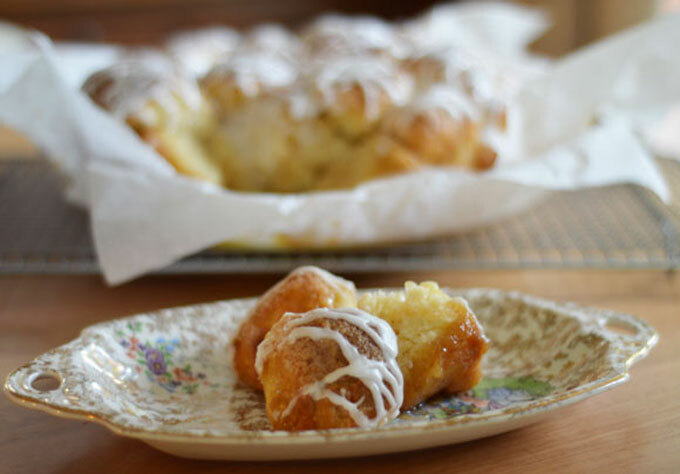 Have you had Monkey Bread before? 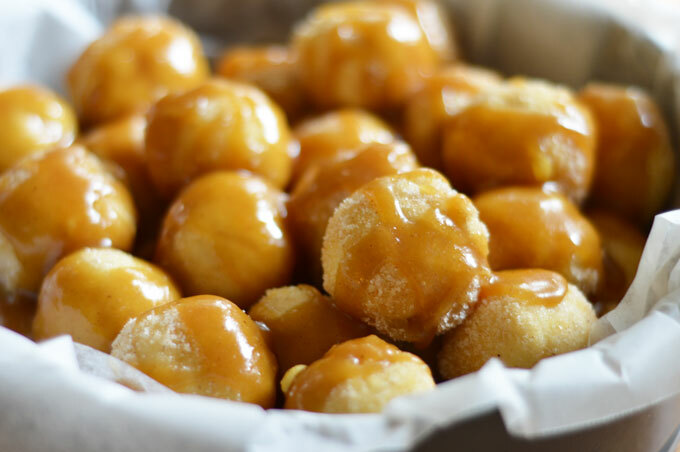 It is balls of dough smothered in a brown butter sauce and cinnamon sugar then after it has been baked you cover it in a sweet, sticky vanilla glaze. It’s delicious, gooey and oh so good! You need to prepare the dough for this recipe the day before, and you put it in the fridge. Overnight it rises in the fridge so in the morning you just need to roll the dough into little balls. 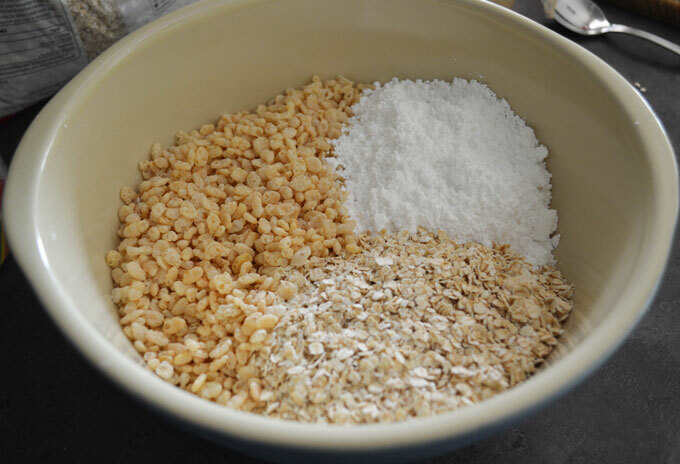 Make the dough: In a large mixing bowl, dissolve yeast in warm water. Stir it around a bit and let it sit for about 2 minutes. Add the milk, melted butter, sugar, eggs, salt, and 3 cups of flour. Beat on high speed for 3 minutes (using a dough hook if you have a stand mixer or using a hand mixer). By hand add enough remaining flour to form a firm dough. About 5 cups total. Turn the dough onto a floured surface. Knead until smooth and elastic, about 5 minutes. Do not over-knead, which will yield a tough, chewy bread. The dough is ready when it is smooth and when you can poke it with a finger and it springs back. Form dough into a smooth ball and place into a large greased bowl, turning once to grease the top. I greased the bowl with cooking spray. Cover tightly with plastic wrap or aluminum foil and refrigerate for 8 hours or overnight. 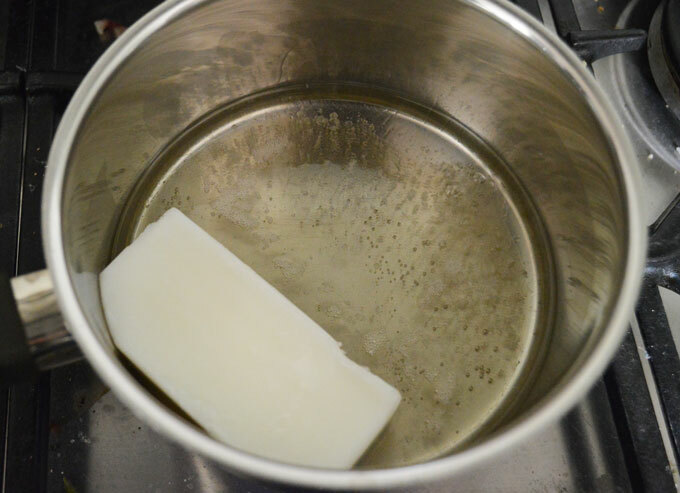 Make the coating: melt ½ cup of butter in a small bowl. Mix granulated sugar and cinnamon together in another small bowl. Set aside. You will use the rest of the butter, brown sugar, and vanilla later. Spray a 10-12 cup bundt pan with cooking spray. I used a large baking tin and lined it with baking paper. Set aside. Punch the cold dough down very gently to allow the air bubbles to release. Pull apart pieces and roll into balls, about 1.25 inches in diameter. You will need 40-45 balls total, so be modest with their size. Dip each ball, one by one, in the melted butter and then generously roll in the cinnamon-sugar mixture to coat them. You may need more cinnamon-sugar depending how heavy you coat each ball. Arrange them in the bundt pan as you go. Cover the pan and allow dough balls to rise again for about 45 minutes at room temperature. Preheat oven to 180°C/150°C fan forced. Melt the remaining ¼ cup of butter and whisk in the brown sugar and vanilla until combined. Pour the buttery mixture over the dough balls in the bundt pan. Bake for 30-35 minutes or until golden brown on top. Cover loosely with foil if the top browns too quickly. Cool for 5-10 minutes and invert onto a large serving plate. Top with the glaze. Simply whisk all of the glaze ingredients together and pour over the bread. You may either cut the bread into generous slices or let everyone pick off the gooey pieces themselves. 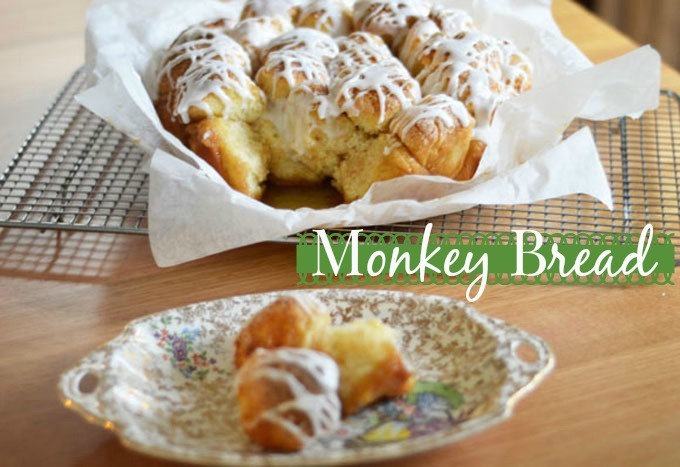 Monkey bread tastes best served on the same day, but will stay fresh for 3 days if stored covered at room temperature or in the refrigerator. So what do you think of this yummy gooey warm goodness? My kids were hanging around the kitchen waiting for the Monkey Bread to cool so I could drizzle it with the glaze. You just want to make sure the Monkey Bread has cooled slightly as you don’t want the glaze to melt. 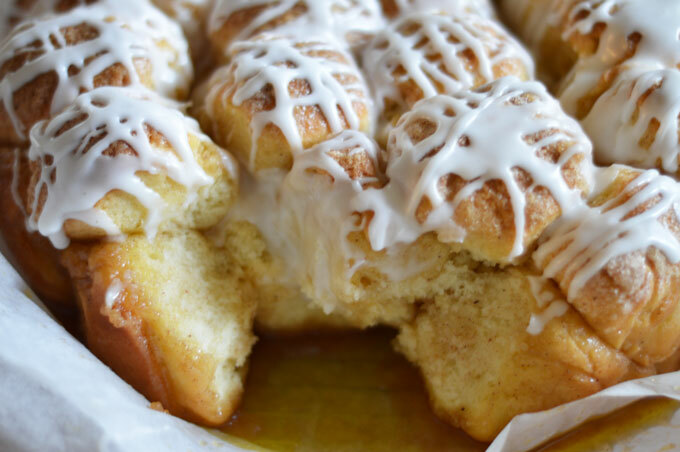 Monkey Bread is a pull apart of sticky bites of goodness. We devoured this warm, and we found it was best eaten on the day. And just a little warning: there might be some licking of sticky fingers. Mum, can we have some more, please….